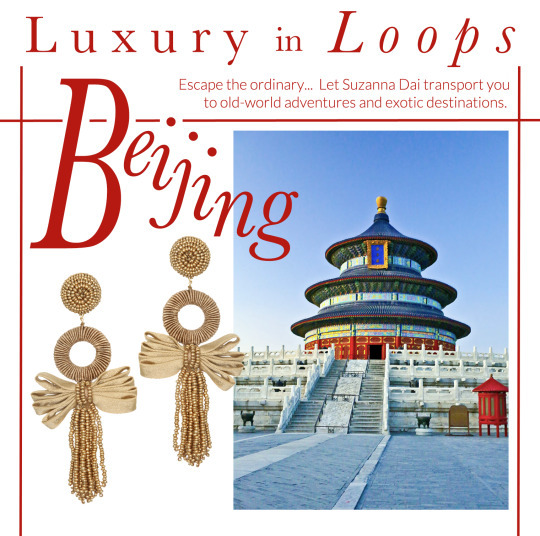 Beijing, China’s capital; a cultural hub and the inspiration behind Suzie’s Mystic Tassel Earrings. Known as one of the greatest historic cities, Beijing is home to three major forms of architecture, ranging from the traditional imperial style of the Forbidden City, to “Sino-Sov” which took place from the 50s to the 70s, to the current explosion of modern architecture. Rounded shapes and cylindrical skyscrapers have been filling out the landscape of the city since the 70’s, leading Beijing to become one of the leaders in the world of architecture. 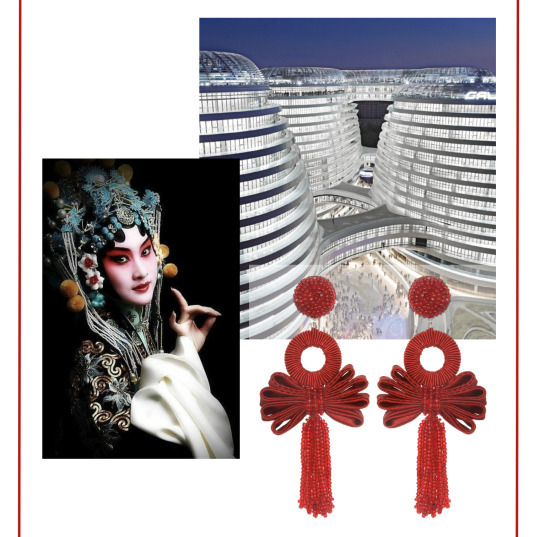 The Beijing Mystic Tassel Earrings are inspired by the iconic shapes of the spherical structures. The curves and soft edges of the earrings emulate the structural aesthetic and elegance in modern architecture, while the glass beads collected from Beijing’s cultural districts make each piece feel authentic and one of a kind. These earrings sparkle with the natural movement of a lively night out, creating a mystical illusion similar to the delicate balance Beijing’s architecture finds between the earth and sky. Suzie’s inspiration also stems from the culture found within the city, specifically, the Beijing opera (also known as Peking opera), an elaborate form of opera combining music and vocals with dance and acrobatics. This art form dates back to the late 1700’s; with only a few stage props to utilize, the performers turned to costume to help communicate their story. The tassels and symbolism in The Fall 2018 Collection are inspired by the traditional headdresses and choreographed movements of the Beijing Opera. Roundness, a common symbolic element, is utilized in the movement of the performers through deliberate and smooth motions avoiding angles and straight lines within the body. The symbolic movement paired with the ornamental costume design highlights the subtle drama behind the vibrant colors, textures and roundness of the Beijing Mystic Tassel Earrings.